My newest D&D/Pathfinder character, Horatio Quint. 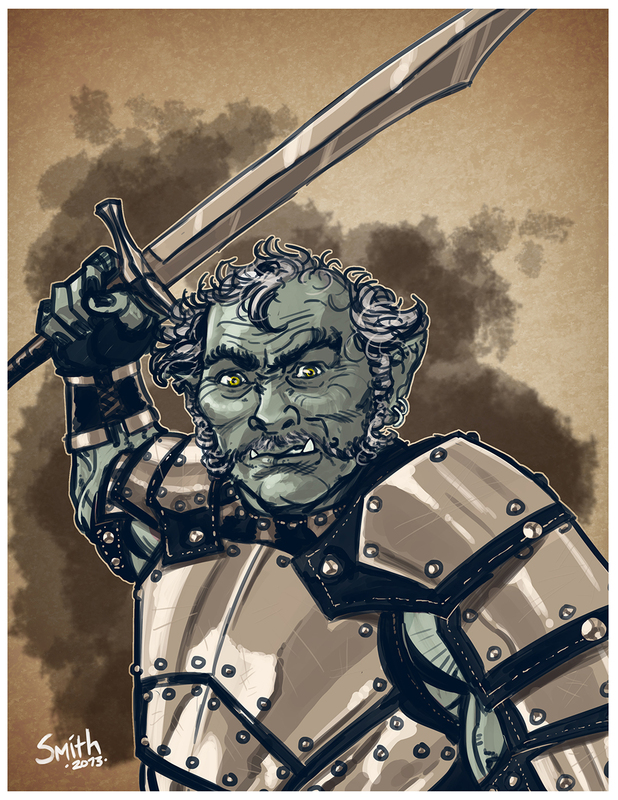 A 50ish year-old half-orc fighter who used to be a cook on a pirate ship. He’s very much inspired by Quint form Jaws and stories about Robert Shaw from behind the scenes of the movie. I do a Quint voice and call everyone “Chief” and challenge them to ridiculous bets and feats of skill or strength. It’s a blast.